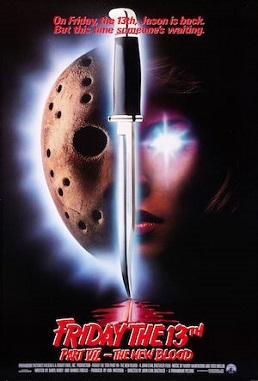 A fun directional pivot for the series, and the first appearance of Kane Hodder as the man behind the mask, Friday the 13th Part VII: The New Blood, is truth in title and a fun double entendre. New (or fresh) blood: new members admitted to a group, typically as an invigorating force. 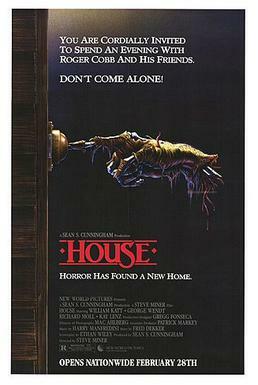 There aren’t many ways to go with a stalk-and-slash premise that boils down to “masked guy going on a rampage in the woods.” But here, director John Carl Buechler adds some supernatural / telekinesis elements that bring a fun, Cronenberg-lite touch to the Camp Crystal Lake series in the form of researcher, Dr. Crews. Jason is rotting on the bed of a lagoon, and this Crystal Lake looks more like a Louisiana bog. Crews is studying young Tina Shepard, a girl with the power to move things with her mind, who’s inadvertently caused the death of her father, as well as reanimated Mr. Voorhees from the lake bottom. He’s an institute-appointment psychiatrist who’s more interested in self-aggrandizement than helping poor Tina assuage her feelings of guilt. 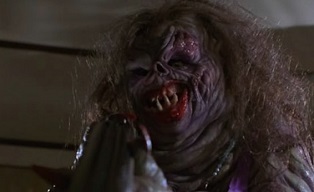 And she’s a bit like Charlene in Stephen King’s Firestarter (or Carrie, to acknowledge an oft-cited debt). The rest of Friday is, of course, Jason getting down to the business of killing once he is broken free from his chains and emerges from his sub-aqueous ecosystem. Dr. Crews is weed-wacked, and Kane Hodder is a kind of Lucio Fulzi Zombie of a Jason, complete with rotting maggot/worm visage and a hulking physicality. The second unit director and Buechler shot test footage of the allegedly “too small” Hodder (we should all be that small at 6’2″) in a mock-up mask and suit and sent it to Paramount. And the rest…is history, at least as far as Hodder in the lead role is concerned (Hodder would go on to play Jason five times). How does this fare in terms of fitting into the Friday canon? It’s not the best, but The New Blood is far from the worst: that (arguably) came a year later in Friday the 13th Part VIII: Jason Takes Manhattan.